I hope you guys are enjoying the summer so far. Whether you’re heading to the beach, the pool, the sofa or somewhere else, I hope your summer is fun, fun, fun! 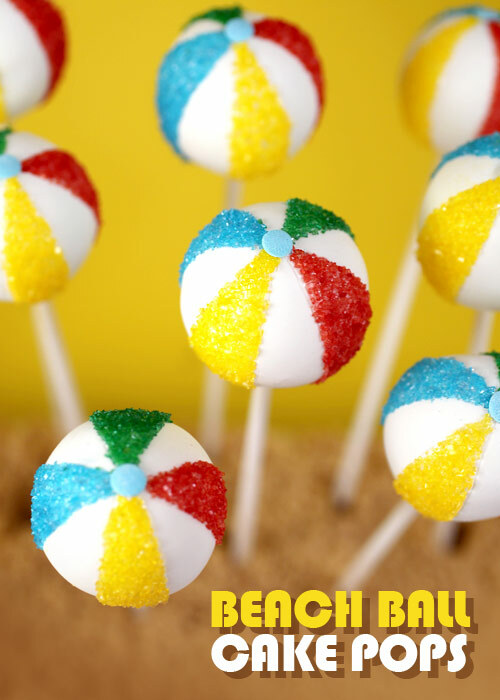 And these beach ball cake pops are a great way to get in the right mindset.  I made them for Target’s blog A Bullseye View and based them on part of their summer store promotion. But really I’ve been wanting to make beach balls for a while. One of the many designs on my to-make-list and one that I’ve received a lot of requests for in the past. All I know is I should have made these way before now. They are so simple and cute, and have such strong visual appeal. They just sing summer. And sunshine. And they make me smile. And they make me wish I was at the pool. Especially since I haven’t even dipped my pinky toe in the water yet this year. Maybe soon. Here are a few photos and a there’s a link to the full instructions below. 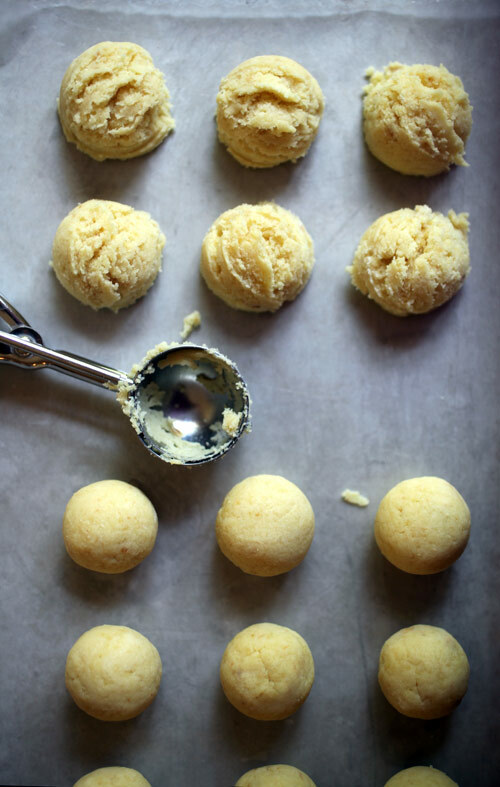 I roll my balls by hand 99.5% of the time that I make cake pops, but for these I thought I’d use a cookie scoop to make extra sure they are similar in size. 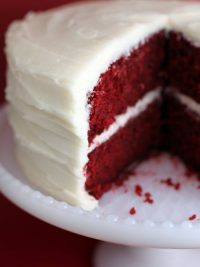 This is a good consistency of cake to frosting. 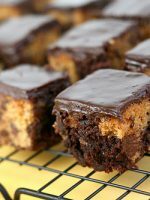 The mixture should be moist but shouldn’t feel wet. 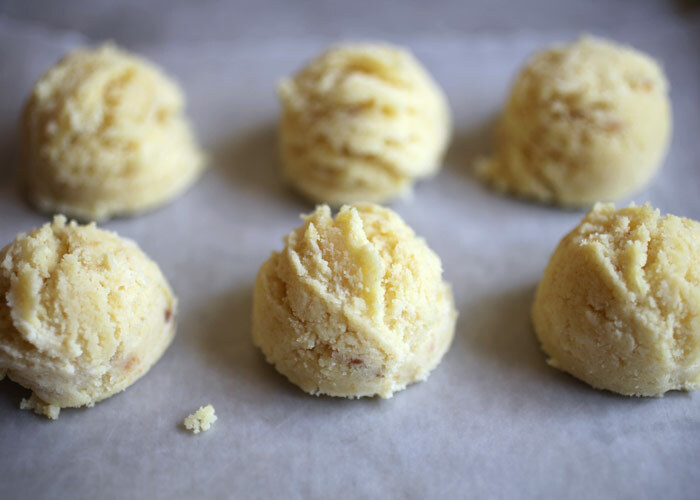 Once they are scooped you can easily roll them into a smooth ball. Speaking of consistency, if you haven’t used Merckens candy coating, I’d definitely recommend it. You can see how fluid the coating is above. It pours off the spoon instead of plopping. : ) I know. Nice visual, but this is what you want. Not too thick and perfect for dipping. 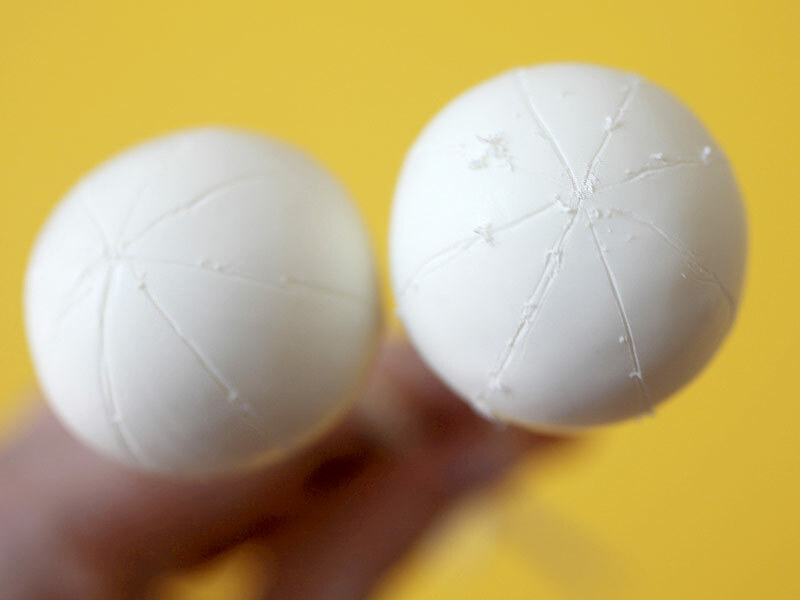 When the pops are dry, you can etch in the coating for a guide on your cake balls. And then all you need to turn these into show stoppers is a little bit of color for decoration and maybe some brown sugar for a sweet presentation. 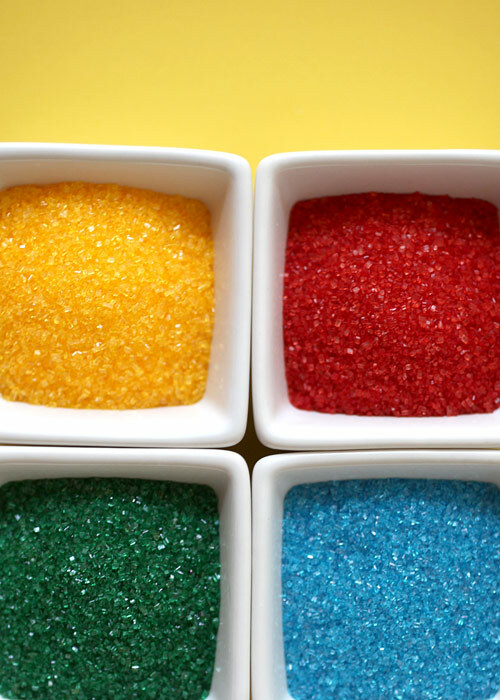 Sanding sugar in bright bold colors. I want to dive in. 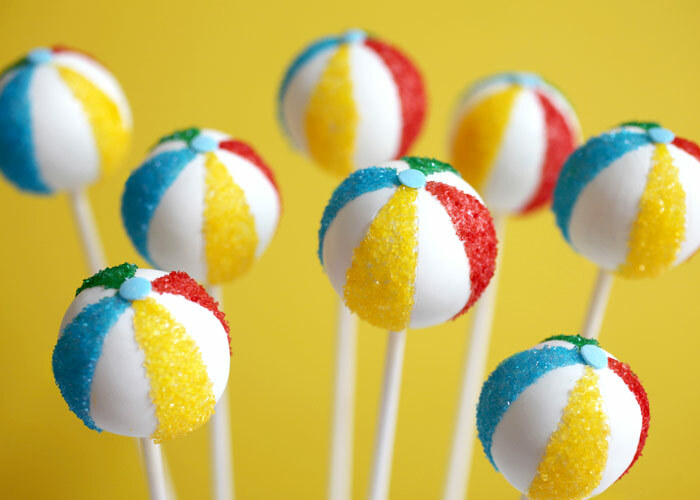 I made these Beach Balls based on the same technique I used for the Easter Egg Cake Pops in my book. Same principal, just a different design. You use corn syrup to get the sprinkles to stay exactly where you want them. 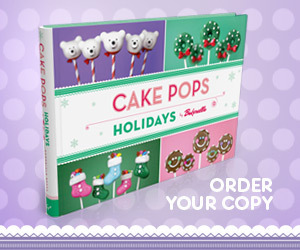 And if you want to make more fun cake pop designs, you can find the book and kit, at Target and in their stores, too. 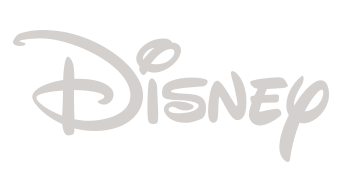 I still get excited when I see it there… I’m like a little kid. 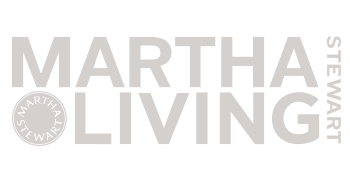 What are you doing fun this summer? I’d love to know what you guys are looking forward to in your summer plans because I haven’t done anything fun yet. I’m longing for the pool and rest and adventure and rest and rest. What to do and where to go? Oh, my goodness, they are really cute!!! Man your creations are all so freakin PERFECT. If this were me I’d get sprinkles everywhere and mess up the pattern lol. so cute! I did something similar but made Christmas ball ornaments. plans for the summer are mainly to not melt! and make yummy foods! My plans for the summer are to make it through my classes! And when I have time, spend time with friends that I don’t get to see too often because of school. We’ve hit the water in our boat a few times and this weekend we are heading camping with 5 other families. 12 adults and 18 kids! Should be fun, interesting and LOUD! Super fun! 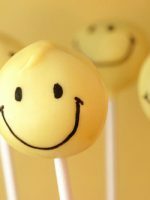 I was at the grocery store the other day, and I saw some pre-packaged Duff Goldman cake pops at the bakery section. They were all cracked and crumbled and melty…and not to mention, expensive! It’s so much easier (and prettier) to do it yourself. Super fun looking and absolutely yummers!!! Mindy1 – ok, maybe I did do something fun already. Saw MM. Pretty entertaining. Jakki – I make a mess too. Just work with one color at a time over a baking sheet and you can collect the sprinkles to reuse. Jessie C – not melting is going to be hard this summer. A scorcher. Carlene – I like it. This is so cute!! I want to make it now. What a great little treat! I will probably have to wait till next summer to make them, though (or have a summer in winter sort of party) since all my cake stuff is packed up so we can move in a couple of weeks. I’m trying to get to the pool as often as possible to escape the chaos of our house. A couple of my friends are getting married this summer! So that’s going to be my fun (OPEN BAR!!) as right now it’s busy season at work and lots of overtime. Also PAX Prime will be happening Labor Day Weekend. Always excited for that. We’re going to 5 events at the Olympics and were sneaking off to Paris for a few days while we’re there too…sans my 2 year old…very excited!! Get to the pool already :) These are beautiful and adorable! you are so creative!! We’re just hangin out at the house. 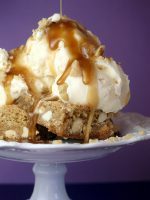 We are having a pool party this Sunday and today I have started the cleaning and de-cluttering of our home and have been trying to come up with a menu and something sweet for Dessert. Thank You Bakerella! (and I have a beautiful wooden cake pop stand that my sweet husband made me for my friend’s baby shower, which I filled full of Rainbow– inside and out–) that I will now fill with Beach Ball Cake Pops!! I am a weirdo. My idea of fun is go out and pull weeds. :) I do also take the dogs hiking, and I signed up both dogs for nose work classes. I highly recommend this for any dog. My dogs love it and all the dogs in our class love it. And bless the person who thought of it – I live in a place where it rains a whole lot so it is nice to have a fun game to play that you can do inside! You make it look so easy! 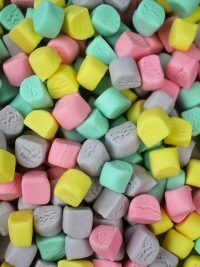 I have the darnedest time with my candy melt consistency and white is the worst culprit. And the cracking! These look so cute! Looking forward to downtime with the kids. And once my 4-yo gets her cast off we’ll do the water fun! These are amazing! I have to make them soon, once I have time. Mostly this summer I’m studying, but when I take breaks, my son and I are going to the movies. The A/C of the theater can’t be underrated, plus the cheap movie theater by our house has $2.50 tickets before 6pm. So cute!!! :) They look so fun! Wow Bakerella! You really out did yourself..again! :) you are my inspiration! I always have trouble making them a perfect circle! I can barely put them on a stick without having it slip. Any tips? Its winter where I am. Please don’t assume all of your readers are in the northern hemisphere. Oh, oops, the world doesn’t exist beyond the USA does it???? Summer here in England has been a total washout so far. Its been cold, wet and generally unpleasant! I’m hoping it will change soon so I can go with my friends. These are so amazingly cute!!! I thought I was looking at actual beach balls for a second! 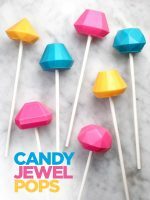 I would love to make these :) so fun!!! I am looking forward to being in summer in two weeks! I’m in New Zealand right now so it’s winter but moving back in two weeks. I can’t wait to feel summer heat!!!! oh how cute are these! And I’m about to throw a beach party so your timing is just perfect!! thanks again for all your great ideas..
oh and how we’re spending our summer? We’re getting marries August 31st and then off on our honeymoon to Egypt. so excited! You make me wish that we had a pool! For summer fun, we are heading out to Cedar Point today for a bit of a vacation. 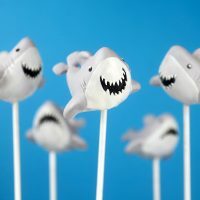 I’ll think of these pops when we are at the hotel pool. Not much of summer weather here in London…but we’re going to be following the Olympics! These look so cute! I really want to be at the beach in the sunshine now, but I’m in rainy London instead. These are so freaking cute! Awesome idea! These just scream summer fun! Wow, you are amazing. you just keep making these spectacular things! Those are seriously adorable! I live in Michigan so all I would like to do right now is head up to Traverse City for the Cherry Festival. Sit back on the shoreline and drink some cherry wine with delight. :) It’s possibly my favorite place to go with my family for down time. Since we live in metro Detroit, we don’t get there as often as we want. Enjoy your summer! What about Cancun, Mexico? or Puerto Vallarta? I hope you get a well deserved vacation and you get the chance to RELAX! 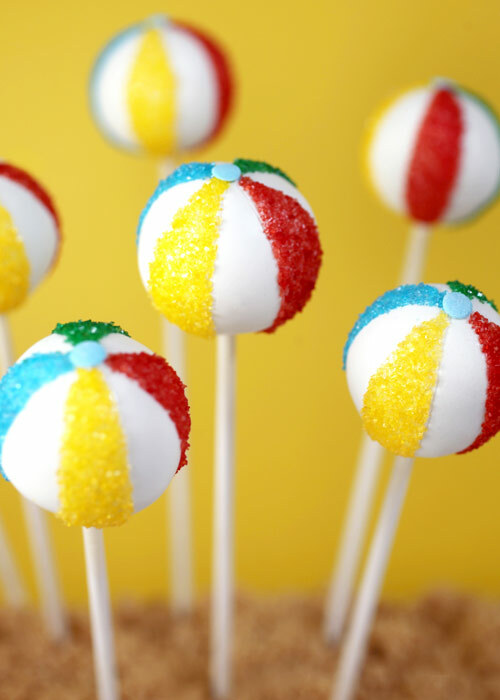 It is summer in Bakerella’s world (and mine) after all, so that’s when beach ball cake pops are the best! We just finished our summer trip to WDW to celebrate our 14th anniversary. =D Man, was it ever hot! LOL! 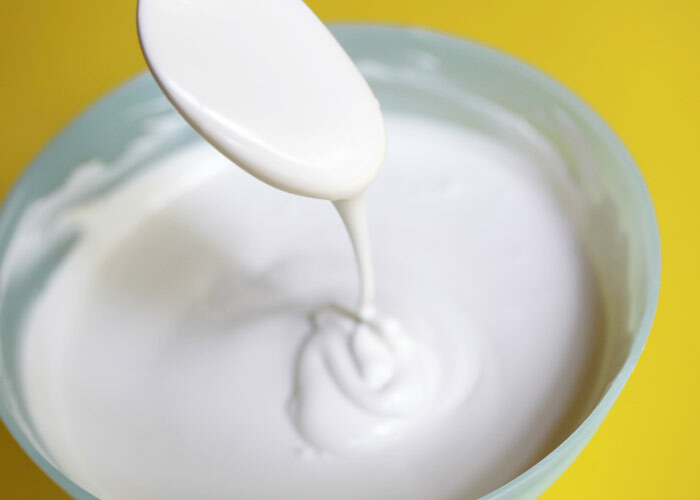 Corn syrup question: I have tried numerous times to use corn syrup to adhere sanding sugar to my pops. At first it works (being careful to use a thin layer of corn syrup), but slowly the sanding sugar always starts to slide off. :( Any hints to make it stay in place? 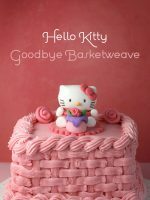 Such a cute idea, Bakerella! They are beautiful! Love these…so cute. My husband and I are going to visit our daughter in Colorado Springs, Co. Fires are contained thank goodness. She just scored a job with the US Olympic Committee there. Cant wait to visit ! She and I love cake popping together ! They look fantastic, yummy and like something I would love to make! Adorable! I’ve had your book forever but must have missed this technique with the corn syrup. Great idea! Oh my goodness…. I love these adorable guys!!! After one week of a cruise to the Bahamas, I’m going to prep school. Haha, high school’s so much work. The beach balls are so cute! They make me wish we were going back to the beach this year. My summer plans involve moving back home to Georgia! I moved to Tennessee when I got married in April but my husband and I have decided we miss home! 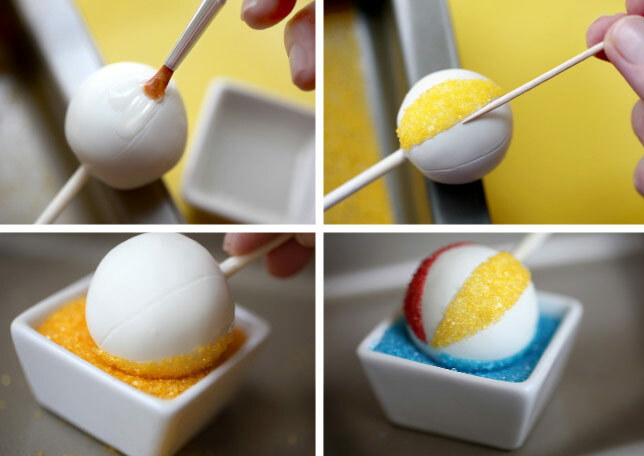 I will definitely give the Merckens a try… I kind of walked away from cake balls because of Wilton’s candy melts always clumping on me – my awkward cake balls looked more like creations by Picasso – fun looking, but not when I’m trying to make a round smooth ball! Now I’m excited to try again. THANKS BAKERELLA! These are just adorable. I picture them sitting on top of cupcakes, and putting crumbled graham crackers instead of brown sugar as the sand… Maybe on top of s’more flavored cupcakes for added summer fun. Yum! 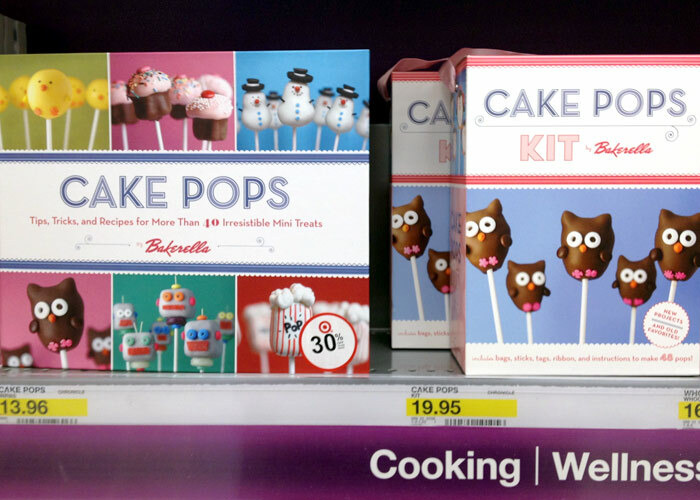 Btw bakerella, i’ve been wondering how you feel about those cake pop pans i see in stores? 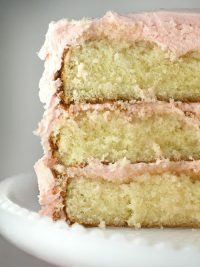 It seems to skip the best part- the frosting inside! Sooo cute!! I’m part fish so I love all things pool! That’s the best part of summer but what I love to do is visit a farm and pick lots of fresh fruits and vegetables to use in the kitchen. (you feel so healthy) Also fun is a family road trip to Williamsburg, Va or beautiful Rhode Island. These are really cute. Great idea for a beach themed party. Since I live by the water this is an excuse to throw a party. My summer so far has been spent traveling and eating lol. They are so stinkin’ cute! 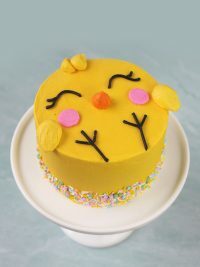 I’m going to try to make some for my niece’s birthday this weekend. My husband and his family have a cabin on a private lake and we like to go there. Our vacation is in 2 weeks yay! How cute! 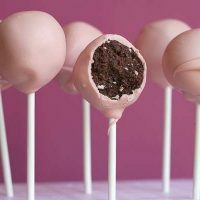 My kids would love these cake balls. We are just trying to stay cool in southeast Texas. But my hubby and I were able to get away for a week (no kids!) to a resort in Utah…ah…it was great! ADORABLE! Those are the cutest beach balls I have ever seen! I love your work, you are amazing!! Fantastic, and so very cute! these are soooo cute. i’ve been having trouble melting chocolate lately! even melting in a double boiler on the lowest heat the chocolate is still seizing. help! It is so hot in your area right now – I would head away! I am in Victoria BC right now and it is beautiful! Loving the escape from the heat back home in Nebraska. Oh, just havin’ some MAJOR FUN! 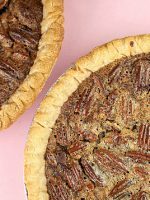 Holiday world, Indiana state fair, the county fair, and baking even more! Can I get a WhoopWhoop!? 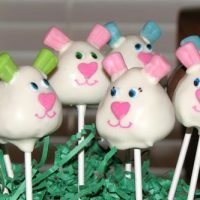 Cute cake pops! My daughter is so in love with your book. lol She’s my little chef in training (she’s 11 years old).  You are so awesome, Angie! Many nights I can barely put a decent dinner on the table for my family (hello, recycled leftovers!) and you manage to come up with such artistic creations. These are so cute! There is no way mine would come out looking like that…maybe more like one of those marbled glass ornaments. Our family is going to Charleston in a couple of weeks! I can’t wait for eating and beach time! Flying with four kids…hmm. Not looking forward to that part, but eating! Yay! I love those pops! It’s a little too warm right now in OR to play with melting candy. :) Heading to Yellowstone soon for some camping and Moose watching! Hmmm, I’ve been wondering how I could make a moose cake pop. Any ideas from you lovely folks?? That would be amazing! You’re a genius! 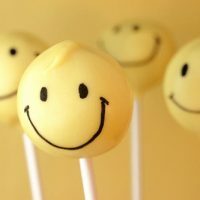 and your cake pops put always a smile on my face. Thank you for sharing these! My cake is in the oven and the white chocolate candies are waiting to be melted. :-) I also want to thank you for making it so easy to pin it for pinterest. I definitely want to remember this for next year. They look awesome! Love the texture of the coating you used. Must try it. We are staying near home this summer, but lots of fun plans, $1 movies during the week, kids are going to do some day camps, I am training for my first triathlon, a camping night in the park, Birthday parties, hitting the pool as often as possible, attempting the beach (the ocean scares me – way more than a pool), lots of volunteering for crafting for VBS at church, and trying a new baking recipe each week. 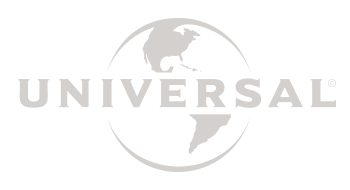 Oh, and scrapping, trying to keep my blog updated and see some summer blockbusters. I may even get to my yard. Hope you get some great ideas and enjoy your summer! My “summer” is almost over. In 3 weeks I will go back to work after 5 1/2 months home with my sweet baby boy. I’m not looking forward to it. These look amazing. I admire your patience! 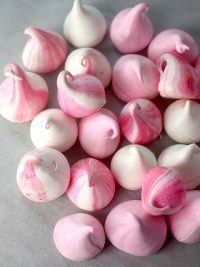 I would never be able to make these but can only imagine how tedious it can be! Oh my goodness!! 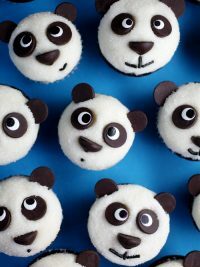 They are sooooo cute that I can’t think of eating them. They look very real. I can’t wait to try to make ’em. These just scream summer! How fun. Hoping we can make it up to the lake for a few days before summer slips by. Thank you for sharing. That is too fun! You always amaze me with your creative ideas! Not Summer down here in Australia, but I am still enjoying the last few days of my school holidays. But exicting.. I am going to try and make you peanut butter fudge today. I Hope it works out. Thanks, Have fun enjoying your hot Summer. My summer plans consist of nothing too big. I am only getting married in 10 days. So cute and colorful! I love seeing you making more cakepops! My family loves going to the lake during the summer, and down to the pool. Baseball games and BBQ’s are also so much fun. I haven’t been out camping since I was a kid, but nothing would make me happier than to go again. Last year we went to the State Fair, a bit overrated for me now. I love summer food best, smores, watermelon, corn on the cob, homemade ice cream, and anything with strawberries, like my famous strawberry shortcake! I turned out great and It was yummy too!